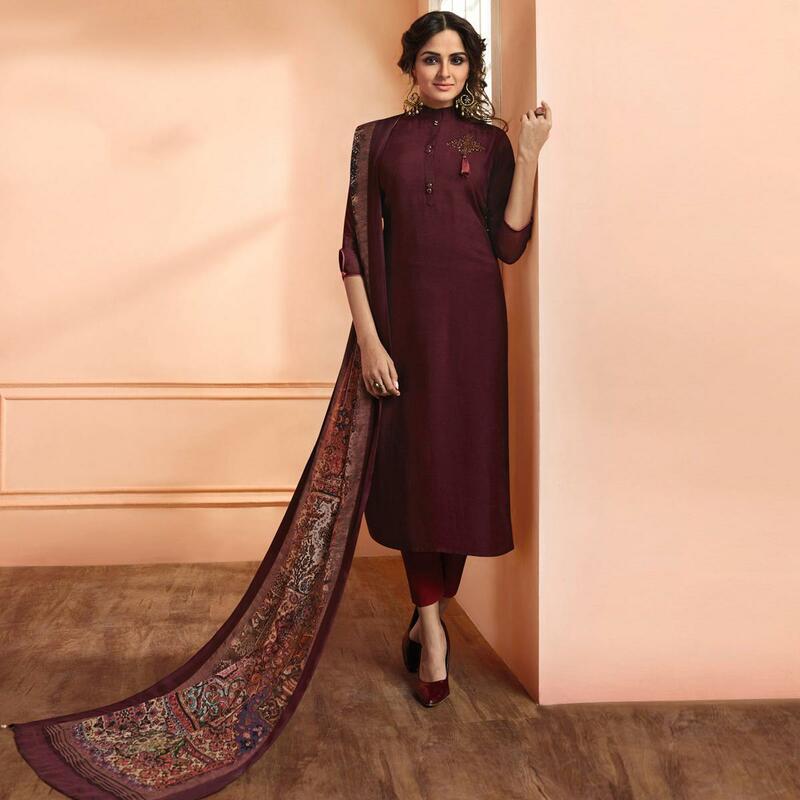 Dazzle up your party look by wearing this hypnotic dark wine colored suit. The stitched kameez made of muslin cotton silk has desirable hand work which is eye catching. 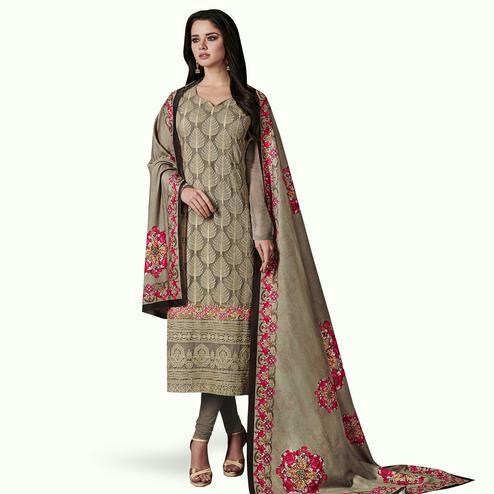 Comes along with stitched santoon bottom and beautiful printed silk dupatta to complete the look. It's a perfect suit to wear for family functions, social outings, parties, festivals and occasions. Pair it up with classy accessories and heels to make your look more attractive. Get this dress now before it's gone out of stock.